Provenance Gallery is pleased to present SCRAPS, new work by Cait Sherwood. Patterns, colors, shapes, and drawings are expressed freely and intuitively using a variety of materials—most commonly water-soluble graphite, cut painted paper, gouache, acrylic paint, and xerox experimentation. Informed by patterns in nature, and exploring the effect of both natural and artificial colors, neutrals and neons, the work lingers somewhere between landscape, abstraction, and personal visual record-keeping. 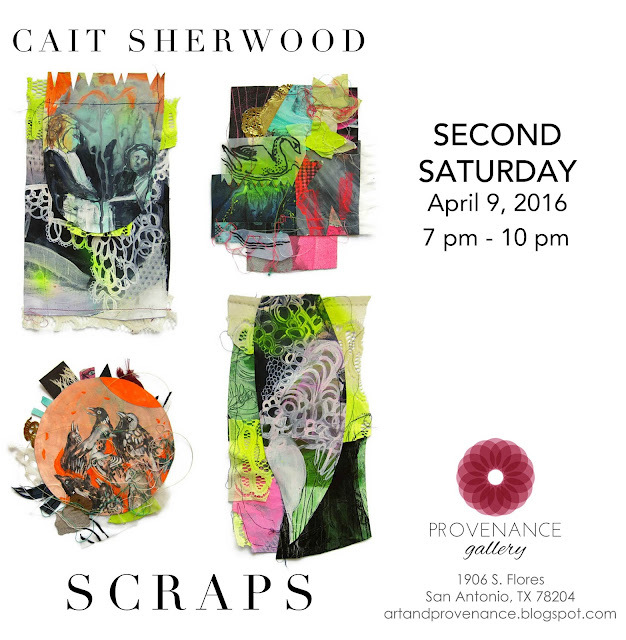 Cait Sherwood is a mixed-media painter who works into art journals. Through a daily process of working into books and journals, a painting will reveal itself. When she begins a painting, she doesn’t know exactly what it will end up like. She chooses to embrace that mysterious quality and proceed. She strives to allow her paintings to come into existence whether she like them or not. She lives and works on her family’s farm in Brookeville, Maryland. Exhibition will be on view until May 29th by appointment. Click HERE to RSVP on Facebook.